I want to invite you, reader, to read that verse again. Rest with it for a moment. Read it once more. Where did Jesus go up? He went up on the mountain. What did he do? He called to him those whom he desired. How did they respond? They came to him. Jesus on the mountain called the twelve, yes, but he also called you and me. He desires you and me. And he desires. every. heart. How do you become a missionary? You become a missionary when you have come to know this desire of Jesus for you and his desire for every person you have met or ever will, and that knowledge drives you to come to him. To follow him. To be with him and to be sent out. Do you want to be a missionary? Listen for his voice: “My desire is for you. My heart longs for you.” Then be that voice for others. Speak the word of life, whom no one else has but Jesus only. Come to him, lay your heart before him, and tell him “I will follow.” When you follow, he will lead. When you listen, he will speak. Do whatever he tells you! If he wants you to know him more and to make him known through a given time of life in a mission community, listen to him. Come to him. 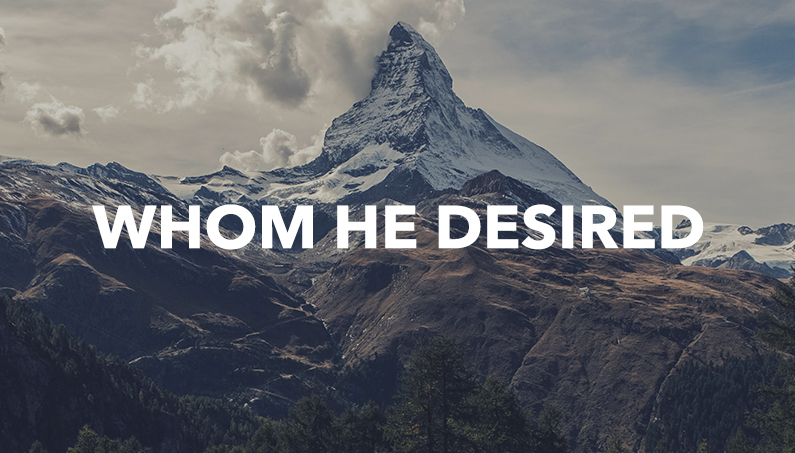 You are whom he desires. Andy Norton lives in West St. Paul with his wife Sarah and their two kids, just a few blocks from the NET Center where he is recruiting coordinator. He is an alum of Franciscan (’10), the Augustine Institute (’17), and the Fellowship of Catholic University Students (’10-’14). You can email him at andyn@netusa.org if you or someone you know would like to know more about NET Ministries; mention frisbee or coffee to gain greater traction. He would love to hear from you!